Eagle Claw® Shappell® Jet Sleds – A versatile piece of gear that is suitable for a wide array of winter outdoor tasks and recreational activities. Featuring a tough, specially contoured polyethylene hull with molded runners, the Jet sled is robust enough for heavy workloads such as hauling firewood or fall leaves, and weighing in at only 11.5 lbs., is lightweight enough to be easily transportable when empty. At 54” x 25” x 10”, the Jet Sled has plenty of capacity and it also comes in an optional winter camo finish. 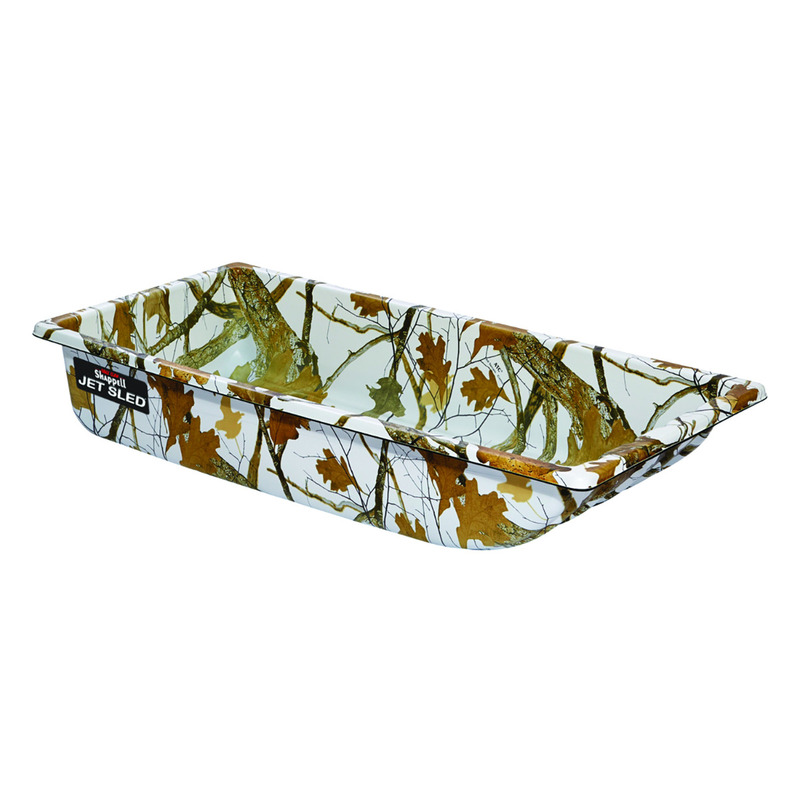 We recommend getting one now as it will come in handy during fall tasks and hunting season. 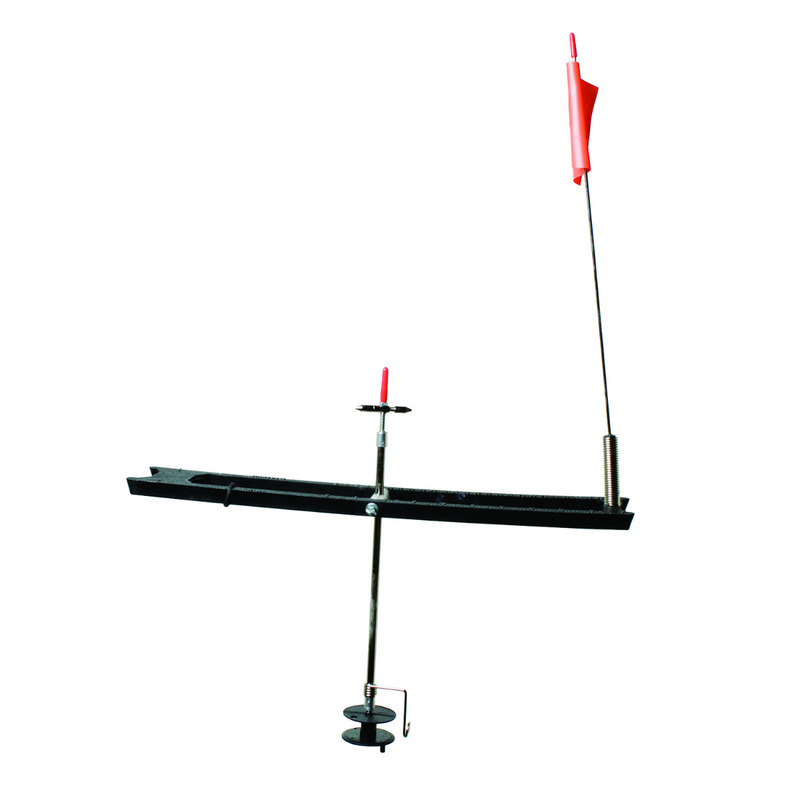 Then once the ice is ready, it can be easily loaded with the rest of your ice fishing gear. 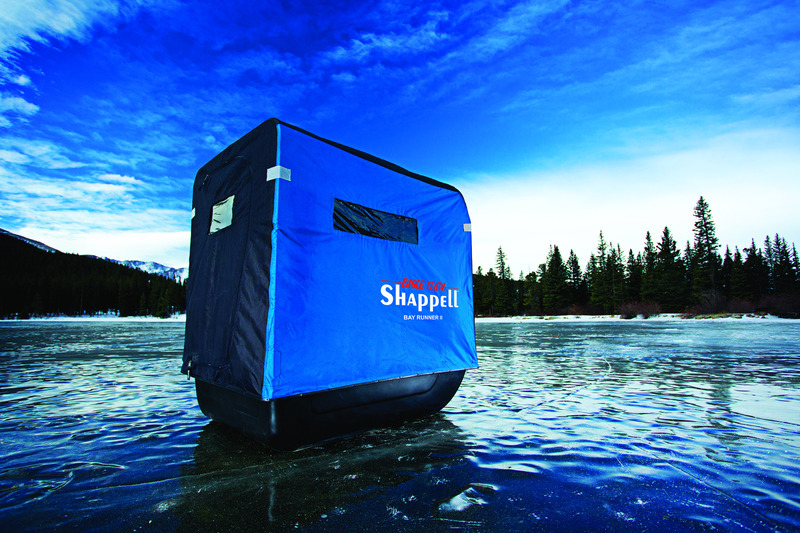 Eagle Claw Shappel Shelters – What’s ice fishing without a good shelter? COLD and not much fun. 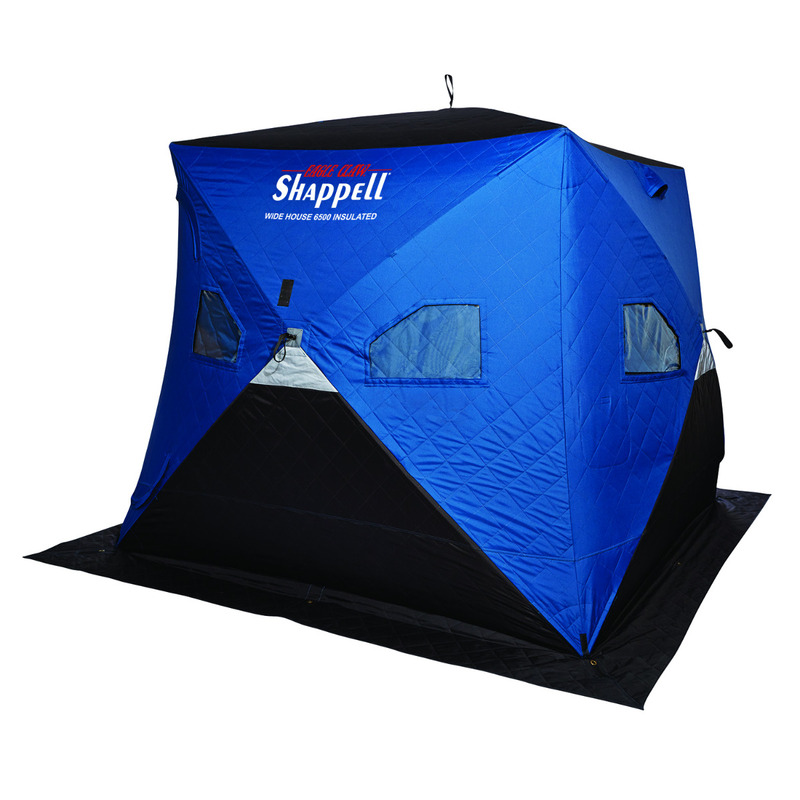 Shappell offers a number of quality and easily portable shelters for a wide range of needs. From two-person flip style shelters, to our Wide House™ series hub shelters that comfortably fit four and gear. Also known as ice fishing tents, our shelters are widely available through national and local retailers . Eagle Claw Ice Fishing Tip Ups— Tip-ups take a lot of the guesswork out of ice fishing. They will suspend your bait at a chosen depth and notify you of fish strikes. 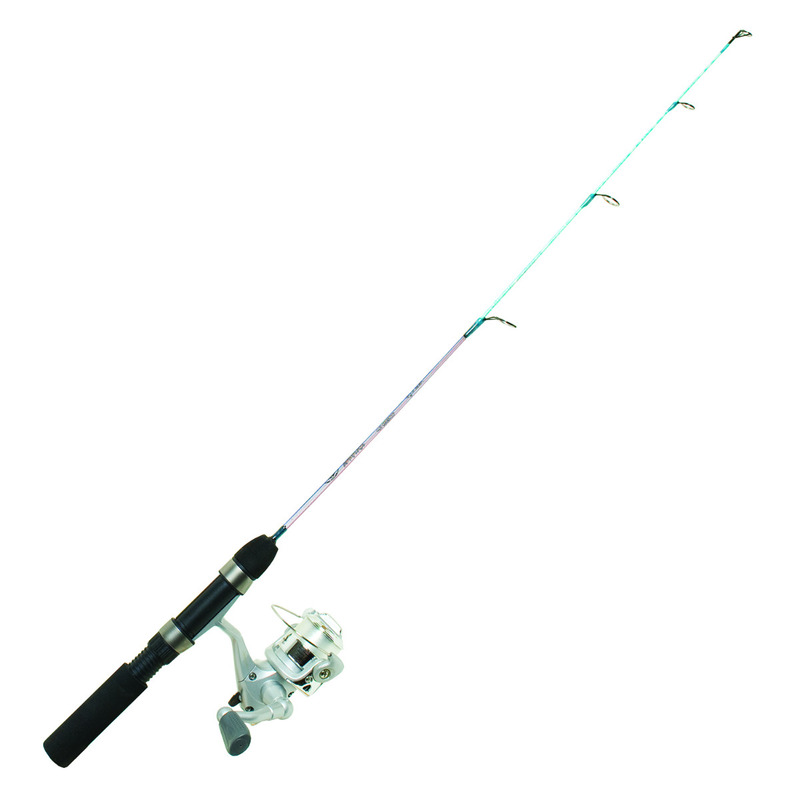 Eagle Claw offers several different models for different line capacity, color and reel material. All are versatile, wind resistant and freeze proof. Eagle Claw Cold Smoke Inline/Spinning Ice Combos— Featuring S-Curve graphite that is light and sensitive for increased strike detection, lightweight stainless steel guides, and soft EVA handles for a sure grip even in a gloved hand; the Cold smoke Ice combos are a reliable piece of gear for discerning ice fisherman. The combos are available in both inline and spinning versions and in 24 or 28” options. 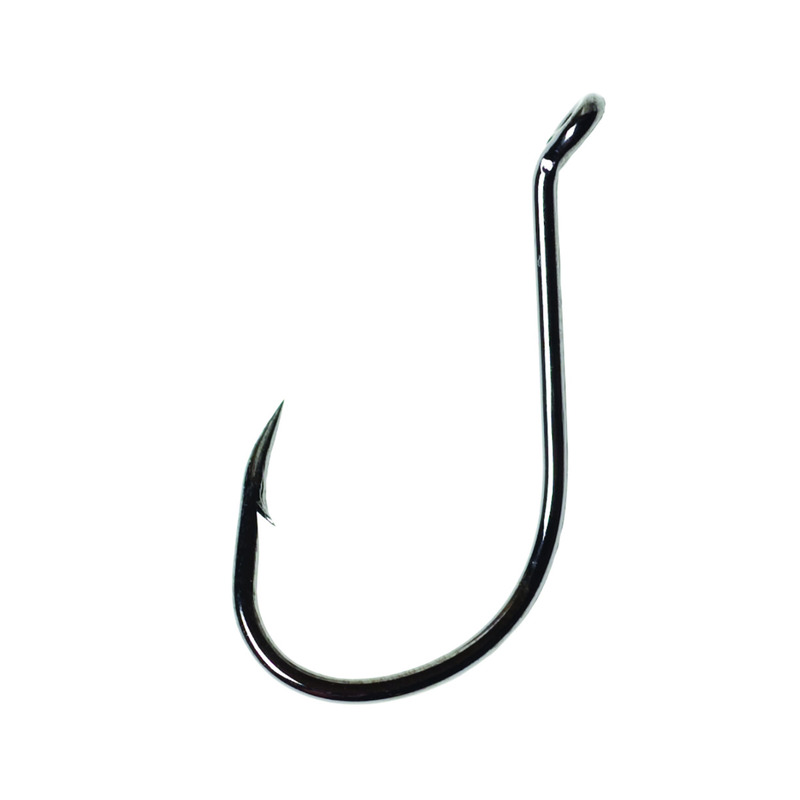 Eagle Claw Lazer Sharp® L2 Octopus Hooks— A versatile piece of terminal tackle suitable for a wide array of Ice Fishing target species, the L2 series is available barbed or barbless and in many different size and finish options. Ideal for live bait, the L2 can also be used for salmon eggs at smaller sizes and for chunk bait presentations at larger sizes. The extremely sharp, high-grade needlepoint tips and twenty-two degree offset work together to help ensure higher hook up ratios even when the water is cold and the fish are biting softly. 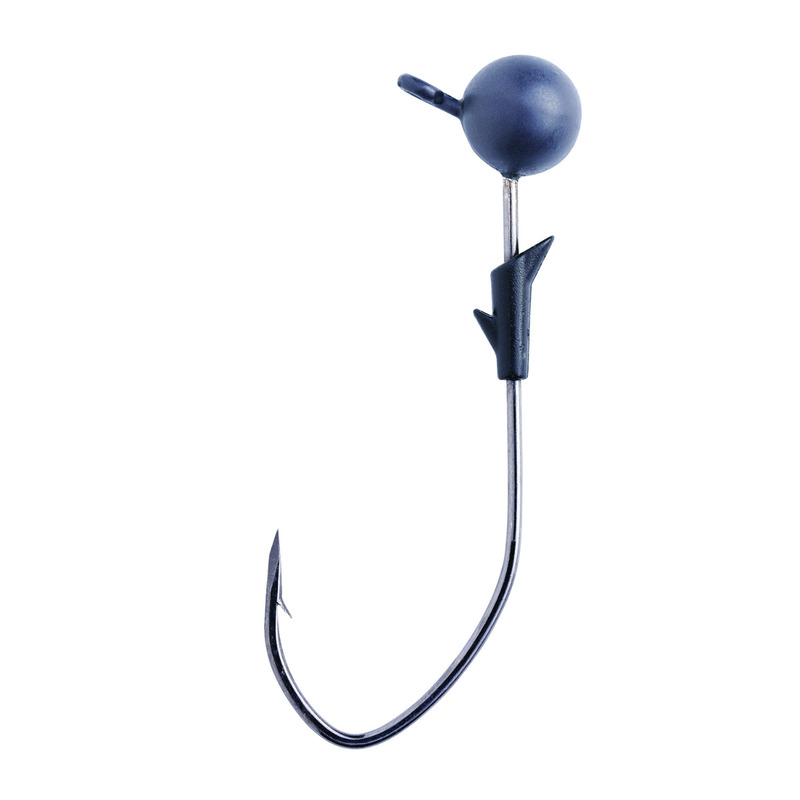 Eagle Claw Trokar® Tungsten Pro-V Ball Head Jig with Molded Bait Keeper— Ice fishing enthusiasts will be familiar with the traditional round ball head style on this jig, but the advantage of this particular piece of tackle is in the triple-sided Trokar point and the Pro-V bend. The bend limits range of motion on the fish after hookset, increasing holding power and pinning the fish until it’s landed while the surgically sharpened technology™ on the patented Trokar triple-sided hook point ensures faster, deeper penetration with half the pressure of the leading competition. That’s a huge advantage when it’s cold and both you and the fish are moving a bit slower.